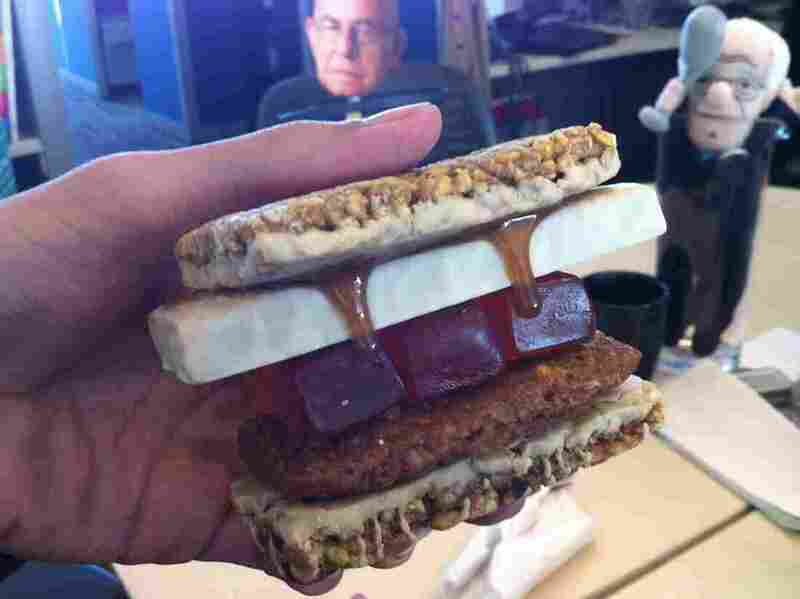 Sandwich Monday: The Energy Bar Sandwich : Wait Wait ... Don't Tell Me! Some members of the Sandwich Monday crew are doing a 5K tonight. 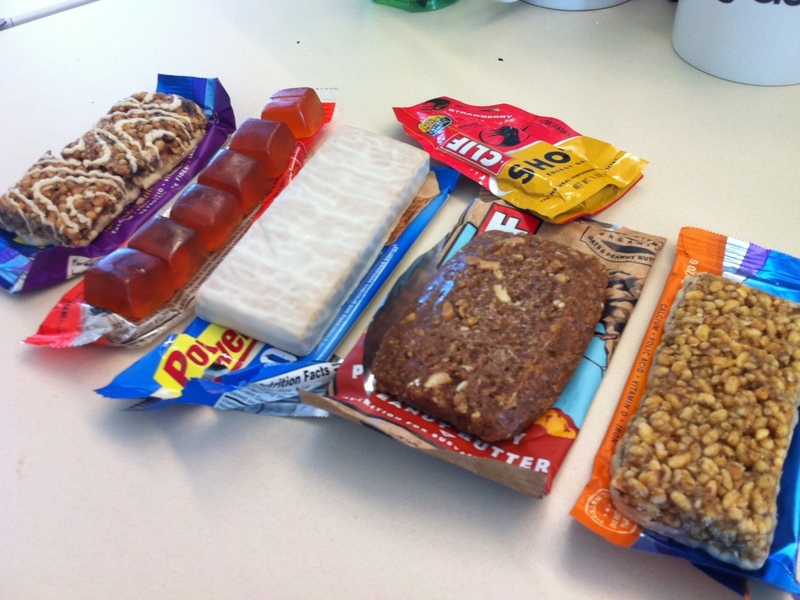 To get ready, we made a sandwich comprised entirely of energy bars and gels. It adds up to 1,200 calories, more than twice that of a Big Mac. Eva: It's effective though, because after eating this, the only way to undo the damage is to run a marathon. Robert: I never thought I'd be able to run a marathon, but after eating this I'm pretty sure I'm going to sink 26.2 miles into the Earth's crust. Blythe: This reminds me of when I ate an entire turkey before that Turkey Trot. Ian: This is the perfect thing to eat before my new workout program, "Crossfat." Eva tries to try it. 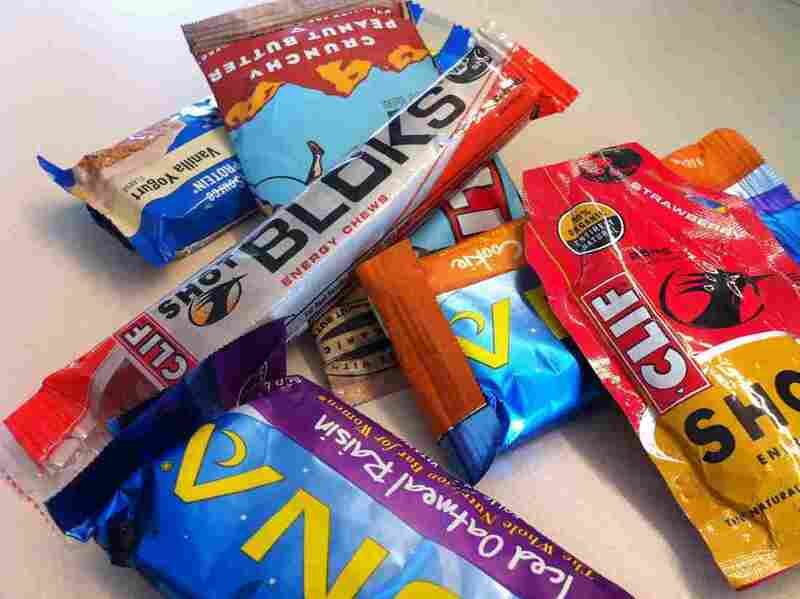 Ian: Are these Clif Blok things supposed to be like Jello? Somewhere, Bill Cosby is mopping up his tears with a hilarious sweater. Eva: Does this count as doping? I'm worried someone's going to take away my last place medal if they find out I lost because I ate this. Ian: The only way to get through this is to Gallow-eat it. One minute of chewing followed by 4 minutes of eating something else. Blythe: Now I have intestine splints.